Press Release: How a coffee created a life-changing movement for two Aussie Mums. Sophie Musumeci and Alison Valenti are changing the way women are doing business. Recognising the increasing role entrepreneurial mums are playing in the economic landscape, they are providing an environment that allows women to do business on their terms – by focussing on developing real relationships, not just referral numbers. Real Entrepreneur Mums was founded in 2016 by Alison and Sophie after yet another evening networking event left them both feeling jaded by the concept. Both women were running successful businesses, but found the opportunities to connect with like-minded women were few and far between. And for those events that were suitable, the focus was more on a business-card swap and initiating awkward conversation, followed by a guest speaker talk, rather than getting to know each other’s businesses and how they operated. “We knew there had to be a better way for busy working mums to connect. Better times, better structure, better outcomes.” Alison Valenti, |cofounder of Real Entrepreneur Mums. With this in mind, Alison and Sophie approached 15 business women they knew and asked would they be interested in trialling a new networking opportunity. One that focussed on really understanding the workings of each other’s business, so they could feel truly comfortable referring them to family, friends and others on their social media platforms. Since that first meeting, it’s only been forward growth and continued development. With the vision to open 100 communities worldwide by 2021, Alison and Sophie are well on track with their projected targets. Having recently launched their seventh community in Sydney, Real Entrepreneur Mums have now launched their first national community in Adelaide. “The aim of Real Entrepreneur Mum’s has been for our members to be each other’s raving fans. This knowledge and belief in each other’s businesses means a better-quality referral.” Sophie Musumeci | cofounder of Real Entrepreneur Mums. Some of the keys to the success of Real Entrepreneur Mums are: •	No competition clause – each community is only allowed one representative from each industry. •	Each community is capped at 30 members. •	Member Showcase – each meeting 1 or 2 members have 20 minutes to provide an indepth presentation of their business. These meetings can often be ‘location’ meetings where you get to experience a member’s workplace. •	Meetings are held during school hours for 90 minutes, exclusive of public and school holidays. Each meeting has a fixed format to stay focussed. pursue their dreams, support their growth and smash their goals. 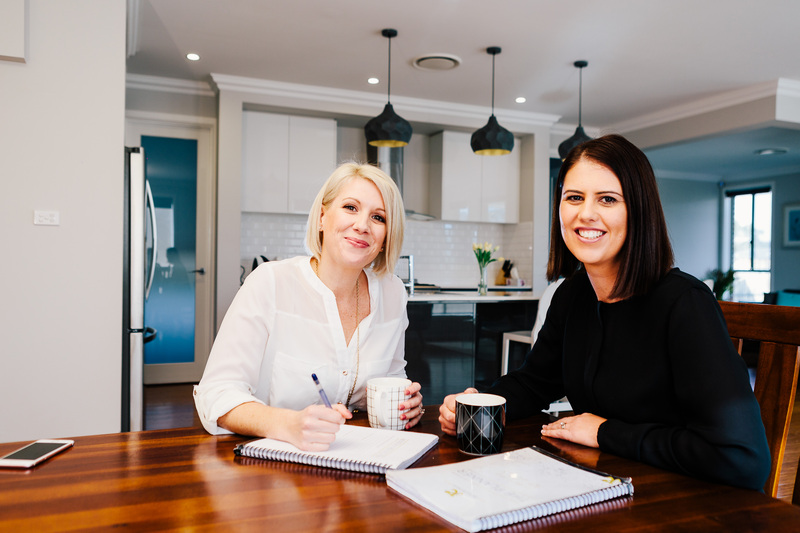 Since first meeting over a coffee in 2014, Sophie Musumeci and Alison Valenti had a connection – each with their own businesses, juggling the commitments of work and a young family. Whilst in different industries, they began keeping each other motivated and accountable in their respective businesses, and they were there for each other to lean on when things became overwhelming on the work and home front. As time passed, and their friendship developed, Sophie and Alison recognised that they not only benefitted from the inspirational support they could offer each other, but that they shared a vision to inspire other women to go after their dreams and smash their goals. The vision for Real Entrepreneur Mums was, and still is, to bring together women from varying industries, in communities across the nation, so that they can grow their business while being there to watch their children grow. “Having received overwhelming interest in what Real Entrepreneur Mums is all about, we quickly recognised that there was a huge gap in the market. And so, every day since the inauguration of our first community, we ask ourselves how we can continue to empower entrepreneur mums and women everywhere – creating villages of women that support other women,” says Co-Founder of Real Entrepreneur Mums, Alison Valenti. With women at its core, Real Entrepreneur Mums’ vision is to build a global business that breaks down barriers and inspires women to go after their dreams and smash their goals. They do this by acknowledging that every mum is as unique as her story. In the past year they have grown their communities to over 140 women across Australia and have a raving fan base where women support women. Their Facebook Community group has over 1,700 women all over the world constantly connecting and developing relationships that support all areas of their life- including motherhood.